The feeling of being able to help others with problems that I have been stuck on in the past is amazing. I try to give back to the community as much as I take from it. … or why you just could not stop. Am Anfang ist es echt ne Qual und ich hab Schweiß und Tränen vergossen, bis ich alles Begriffen hatte, was ich begreifen musste, damit es bei mir so läuft wie es soll. Und auch jetzt habe ich noch 10000 Fragen die immer wieder hochkommen. ABER bisher habe ich hier, was Icinga2 angeht, immer eine gute Antwort bekommen und bin mittlerweile auch soweit, dass ich versuche, mein Wissen hier zu teilen. Und nach all den “Qualen”, die ich am Anfang hatte, liebe ich Icinga2 umso mehr. Und es gibt so viel, was man ausprobieren, erweitern, testen kann. 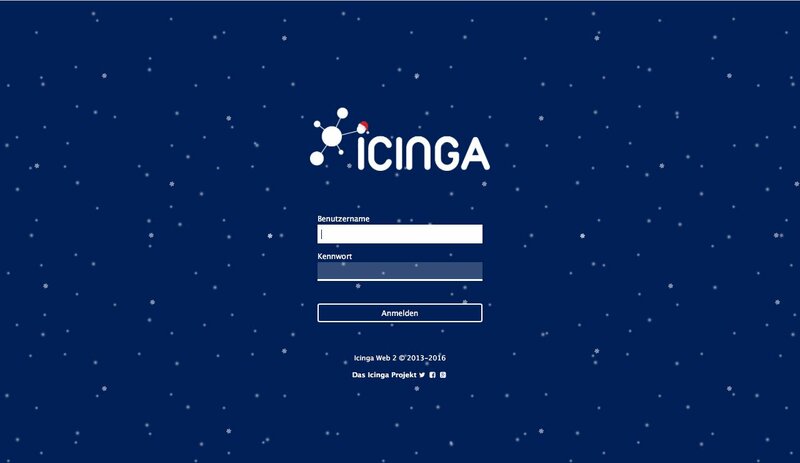 Ich könnte den lieben langen Tag nur Icinga2 und Icingaweb2 widmen. Und das schönste ist, es ist schlank und performant. Die Entwicklung geht stetig vorran. Es ist jetzt schon gut und wird noch besser. Blerim attended Lifecyclecon and DevOpsDays talking about Icinga and Graphing. There’s also lots of effort being put into the Puppet module rewrite for Icinga 2 – thankfully even on the weekends. In case you are looking for a list of tools integrating the Icinga 2 REST API, or just figuring it out for your own scripting language … we’ve updated the icinga2-api-examples repository lately. We’ve forked Zend Framework 1 and will maintain it for Icinga Web 2. Recently it was announced being EOL thus enforcing us to do something about it. Since we rely on ZF1 we decided to go for a fork here. We’ve been sitting together during OSMC last week and wrapping our head around an Elastic integration. Work has been started during the OSMC hackathon on an icingabeat already. More on that in 2017 when we’re putting our focus onto Icinga 2 v2.7 and Elastic integration. There’s Icinga Camp Berlin on 7th of Match 2017. We’re looking for speakers and participants – see you there! For those who might be wondering why we are still on ZF1: when we started working on Icinga Web 2, ZF2 was already available. So, starting based on it might have been a reasonable decision. We tried it out and learned that we’ll neither start developing with it nor will we ever migrate to it. ZF2 is a completely different tool with different architecture and it didn’t fit our needs. We prefer convention over configuration, and we are nit-picky when it goes to response times. Both requirements ZF2 didn’t seem to be designed for. Our code is wrapped around the framework in a way allowing us to smoothly fade it out over time by replacing more and more of it’s components with our own code. ZF3 learned a lot from what happened with ZF2, but with it’s composer-ized dependencies it is still not what we’re looking for. We want to ship software able to run on a lot of distributions, also “enterprise” ones. We still support all PHP versions from 5.3 up to 7.x. That’s sometimes not so funny and pretty hard work. To be able to ship something similar you need less, not more dependencies. Zend is doing a great job, and provides a fantastic framework for many use cases. And while ZF1 was a perfect match for us, ZF2 and ZF3 are not.